With the advent of new technologies such as digital printing, flexible packaging, Packaging industry is expected to witness several opportunities in coming years. Moreover, growth in e-commerce has generated the demand for standardized packaging. 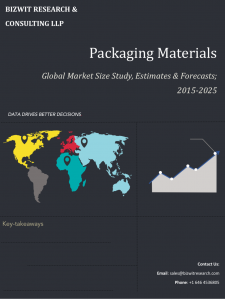 With our Packaging industry reports, we are keenly analyzing these changing trends in the packaging industry. Some of our top selling advanced material reports are Global Medical Packaging Market, Global Anti-counterfeit Packaging Market. Global Green Packaging Market Size study, By Packaging Type (Recycled Content, Reusable, Degradable), By Application (Food & Beverage, Personal Care, Healthcare) and by Regional Forecasts 2017-2025.